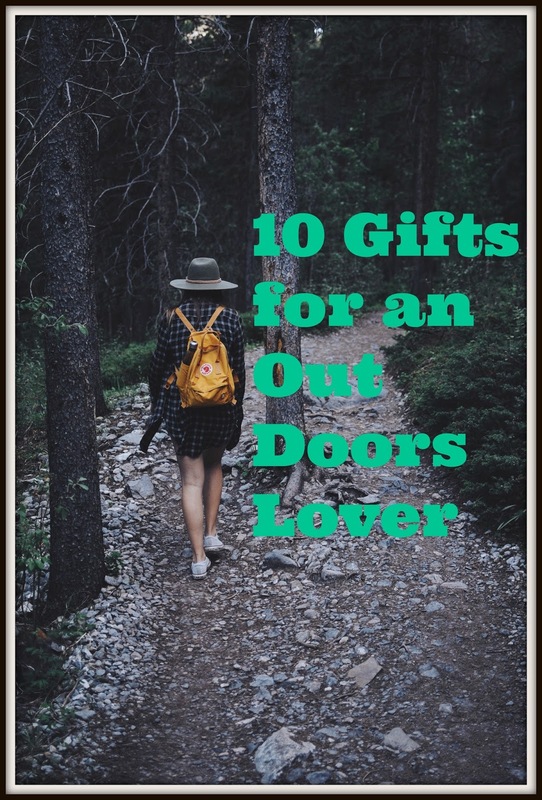 If have someone on your list this season that loves to go hiking and be outdoors then this is the list for you. If you have followed any of my hiking post you have noticed that I also Pokemon hunt while I hike. Now I currently don't own a pair of these but I think they would help a lot in the Pokemon hunting part of my hiking. This morning while walking my hands were freezing and I was not wanting to take them out of my pockets to catch Pokemon, these gloves would have solved this problem. I don't know about you but this kit is just cool, anyone that hikes would love this! It has 1 5/16" magnesium flint fire starter, 12' custom military grade MIL-C-5040 type III 550 parachute cord embedded with copper wire, hemp tinder line, secondary fishing line, compass, stainless-steel scraper, 2 fishing hooks, 2 fishing lines, 2 swivels, 2 weights, 2 floats, alcohol pad, dried tinder and 2 safety pins. If they are not new to the outdoors they probably already have one. But if your loved one is a newbie then this is a must! So far I haven't had the pleasure of using this tape, but I hear its amazing. This is definitely in my shopping cart for my sister in law, she walks the 3 day breast cancer walk every year. I've had a few Fit Bits over the past couple years and so far my favorite has been the Blaze. It has some pretty cool features that I use while hiking like the pace rate and altitude tracker. These are great! What I like about this one above, is the chest strap. Its a little bigger then most, I have another one that is pretty small which is great because it's light, but I like to over pack, especially when I bring the kids with me. If your not in Washington State check to see if there is a pass for your state parks. You may have the question, "What does this tracker have that a phone doesn't? Get signals from satellite not towers. Now who doesn't need a wine glass while hiking????? Oh yes I´d love the swiss army knife, so handy! Agreed! Never go outdoors without one! How I Deal With The Holidays As An Introvert!